Tapping into the current trend of a new view of genetics exemplified in books like The Biology of Belief, Margaret Ruby, herself a healer, shows how this research is becoming increasingly mainstream. In The DNA of Healing, Margaret Ruby teaches how to neutralize the negative patterns handed down through our family lineage and reprogram the DNA with positive patterns that manifest health, wellness, and abundance. Revolutionary scientific research is proving that our emotions and thoughts can impact our health and shape the course of our lives. But if a positive attitude is all we need to live a healthier and happier life, why don�t more people change more quickly? The answers lie deep in our DNA. Along with the color of our eyes and the shape of our nose, we have inherited the emotional patterns and beliefs of our ancestors. Like long-lost family secrets, these deeply embedded patterns influence our health, wealth, and relationships in ways we�re not even aware of. Margaret Ruby, a pioneer and educator in the field of healing and the founder of PossibilitiesDNA, has developed a system for isolating and reversing inherited traumas and negative patterns. 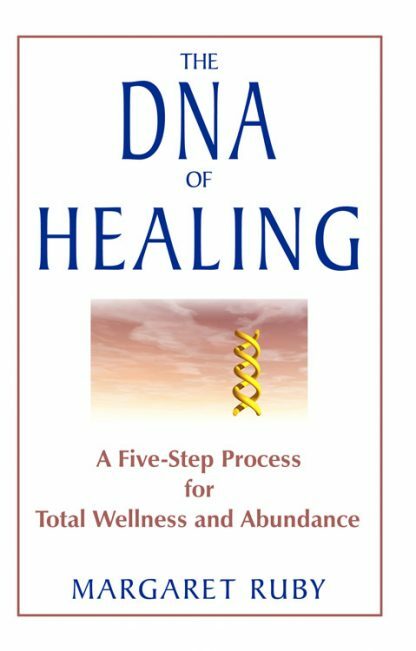 The DNA of Healing reveals her breakthrough five-step process that has helped people around the world neutralize the unconscious programming they have inherited and reset their genetic codes for total wellness and abundance. Blending the art of healing with cutting-edge research, Margaret Ruby shows how to work with your DNA on an energetic level, in effect rebooting it to its original blueprint. This extraordinary system allows you to reprogram your DNA with positive patterns--a concept that has tremendous ramifications for more than just your health. The DNA of Healing also shows how you can remove your self-limiting thought patterns about relationships and money, helping you get the abundant life you�ve always wanted. Margaret Ruby is a leading educator and pioneer in the fields of personal growth and self-healing. She is a energetic healing practitioner and founder of Possibilities DNA, a school that teaches vibrational healing. She lives in Sandpoint, Idaho.